My love of embellished items has gone a whole very kawaii notch up, if you follow me on instagram you'll have seen my previous very bling phone case, unfortunately i accidentally snapped off a little bit of the side so said phone case is now sat decoratively on my shelf. My poor iPhone was naked until Paula from My Kawaii Case offered to send me a customised kawaii phone case. In that moment all of my wonderful (awkward) teen years came back to me, my mini obsession with all things kawaii and anime almost resurfaced the second i clicked on Paula's site. Each case can be customised to your liking with the bespoke order option, i opted for it to be as cute as possible because, well... who doesn't like cute? But other options are offered if you feel it's a little too adorable for you. Isn't your phone really heavy? I hear you proclaim, actually, no. 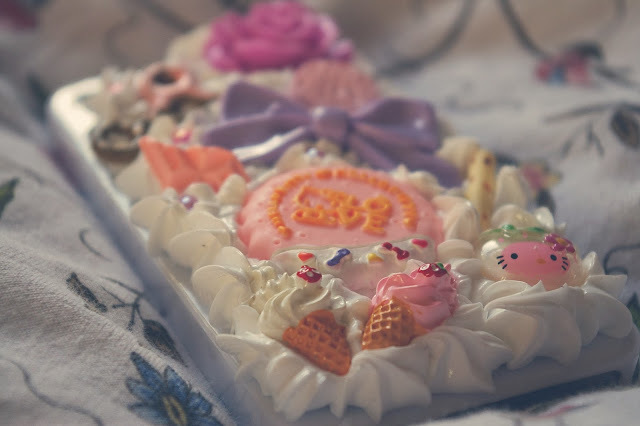 I was a little surprised myself but "whipped" deco phone cases such as the one I received, are handmade with silicone and light cabochons so they're not as heavy as they look and the silicone is soft and flexible so it moulds to your touch. So, what do you think about my new case? P.S If you haven't already entered my latest giveaway, check it out here! Lovely phone cover. I've always had a thing for Kawaii cases. It's so cute and quirky. It's so cute! It looks like a piece of cake. Hi, I have nominated you for the Liebster award. Its just a great way for small bloggers like ourselves to gain recognition. If you wish to accept, please go onto my blog and read my post! i just dicovered your blog through the liebster award nomination on Lace's blog. Love your style, Great blog. Hoping you will follow back. 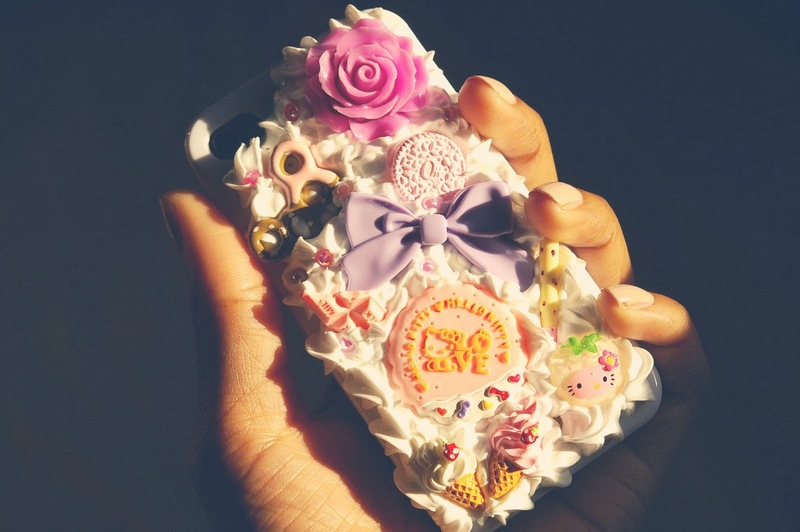 i love kawaii cases and this looks so cute! wow that is so cute! i've never seen a case like that it is quite different but very nice! Wow! This is very useful page and wonderful products. Protect your favorite phone to use phone case. 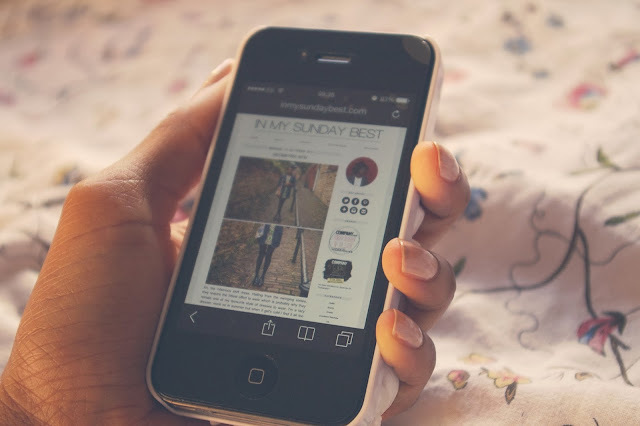 Here everybody will find the latest and Top quality phones cases and information for iPhone, iPod Touch, iPad, Samsung and more. Buy online and get huge discounts from retail prices. Thank you for sharing valuable information.